At a time when Christianity is flourishing in the Southern Hempisphere but declining in much of the West, Linda Woodhead offers a bold new overview of the world's largest religion. In a fascinating and engaging fashion, she explores the cultural and institutional dimensions of Christianity, and traces its course over two millennia. Christianity addresses topics that other books neglect, for example the competition for power between different forms of Christianity, the churches' uses of power, and their struggles with modernity. Also considered is the recent charismatic explosion of this religion in Latin America, Africa, and the Far East. Woodhead concludes by showing the ways in which theose who previously had the least pwer in Christianity--women and non-Europeans--have become increaslingly central to its unfolding story. 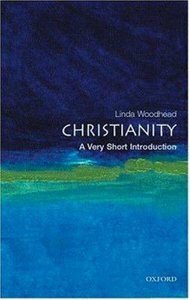 With up-to-date information enabling the reader to get into the skin of Christians and the beliefs, Linda Woodhead presents an old and frequently told story in a fresh and illuminating way. - Publisher At a time when Christianity is flourishing in the Southern Hempisphere but declining in much of the West, Linda Woodhead offers a bold new overview of the world's largest religion, exploring the cultural and institutional dimensions of Christianity over two millennia. Christianityaddresses topics that other books neglect, for example the competition for power between different forms of Christianity, the churches' uses of power, and their struggles with modernity. Woodhead also considers the recent charismatic explosion of Christianity in Latin America, Africa, and the Far East. She concludes by showing the ways in which those who previously had the least power in Christianity--women and non-Europeans--have become increaslingly central to its unfolding story. At a time when Christianity is flourishing in the Southern Hempisphere but declining in much of the West, Linda Woodhead offers a bold new overview of the world's largest religion, exploring the cultural and institutional dimensions of Christianity over two millennia. Linda Woodhead is a Senior Lecturer in Christian Studies at Lancaster University. She has written extensively on Christianity, culture and society. Recent edited books include Peter Berger and the Study of Religion (2001), Religions in the Modern World (2002), Predicting Religion (2003, with Grace Davie and Paul Heelas) and Congregational Studies in the UK (2004, with Matthew Guest and Karin Tusting). 1. Jesus The God-man; 2. The Signs And Symbols Of Christianity; 3. Church Christianity; 4. Monastic And Mystical Christianity; 5. Modern Christianity; 6. Christianity Beyond The West; 7. A Woman's Religion?